HomeDestinationsSnow fall and snow cannons a great combination. Snow fall and snow cannons a great combination. The latest information from the Alps is several cold snaps and a widespread fall of snow over the past week. Hopes that we were going to be in full swing of the ski season hasn’t come to fruition but all is not lost. The Alps are looking very good compared to the same time last year and way back in 2014 and 2015, the snow cannons are in full force doing their job and doing it well. Ok, it’s not the same as the winter of 2012 but we can’t have everything nevertheless it’s looking very good indeed! There was a bit of a thaw last week however it was quickly followed by a moderate snowfall with low temperatures at the weekend, the forecast for this week is the same. Its not only the Alps that everyone is getting excited about, Austria currently has a daytime freezing point at 700m and its predicted that by this Friday its daytime freezing point will be at 300m, roll on Friday! The Alps and Austria are currently experiencing light to moderate snowfall however the Alps early season good snow conditions are looking more favourable due to being helped along with the snow cannons operating at full blast. The wonderful ski resort of Val d’Isère opened last Saturday but strong wind pockets hampered the average skier, these wind-blown pockets of powdery snow can be a force to be reckoned with. At the moment the weather forecasters are expecting a slight thaw on Tuesday, December 5th but its nothing to worry about as a cold snap is due immediately after, it is one to keep an eye on though in any case. 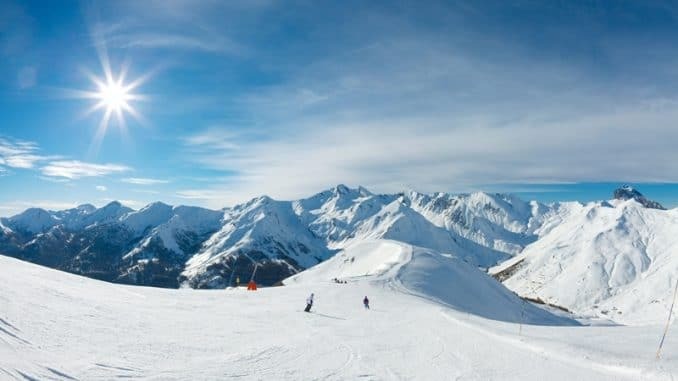 As it’s still early days in the skiing season its better to play it safe and head to the high altitude resorts and aim for above 2000m at least to avoid disappointment. Choose a resort with snow assured slopes and good snowmaking cannons. One of the worlds best snowmaking systems is in the ski resort of Ischgl in Austria which opened its ski season last Thursday. There are 171km of skiable pistes available now due to a moderate natural snowfall and no less than 1100 snow cannons working flat out and if that isn’t impressive for this time of year, I don’t know what is! Ischgl has the most snow cannons in the Alps to date, but the Dolomite Super ski area in Italy’s South Tyrol looks like it will surpass even that with a jaw-dropping 5000 snow cannons in operation, the Sella Ronda ski area will open this weekend. The snow cover now in the SkiWelt in Austria is excellent, the highest point is 2030m and the coverage is exceptional with natural snowfall and its cannons working to full capacity. Further afield to Whistler in the Northern Rockies has already seen 341cm of snow with Jackson Hole in Wyoming having 312cm and it’s predicted Whistler will see snowfall all week. 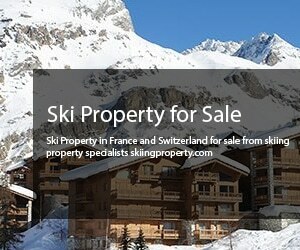 For now head to high altitude resorts and enjoy your skiing holiday!